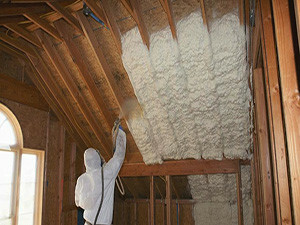 Spray Foam Insulation is the best home insulating material you can use to seal your home. Buildings with spray foam insulation routinely perform 30-50% better than buildings with traditional insulation materials. Creating an air barrier with spray foam improves energy efficiency, keeping your home warmer during the winter and helping your cooling system keep pace with the summer heat. Spray foam virtually eliminates the largest source of energy loss in the average home – the 30 to 40% of energy typically lost through air leakage. With traditional insulation materials, HVAC professionals typically need to install larger units which cost more to install and operate. 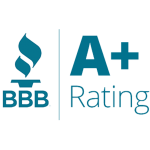 The bottom line is that heating and cooling a home insulated with spray foam typically costs much less than an average home. 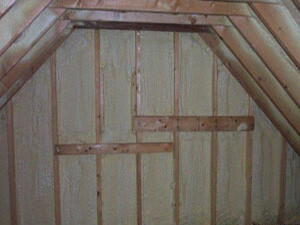 Closed cell foam insulation is much denser than open cell. It has a smaller, more compact cell structure. It is a very good air barrier as well as a water vapor barrier. It is often used in roofing projects or other outdoor applications, but can be used anywhere in the home.